If you, a friend, or a loved one have been arrested in Roseville, California we are here to help get them out of jail. You will have the option to post bail, which enables their freedom. Premiere Bail Bonds has friendly, professional agents located within miles of the jail that are on call 24/7 to assist you in bailing that person out or to answer any questions you may have. The cost to bail an individual out of jail is called the premium and is typically 10% of the total bail amount. This can be paid by credit card, cash, or check. We understand that this is not usually an easy fee so for that reason we are accepting and flexible with payment plans. Our main concern is making this process smooth and stress free for you, as we know how unpleasant it is to have one you care about arrested. Once this premium is established and paid for, we will be responsible for submitting the full amount of the bond to the jail and will then notify you directly when that person will be released. Premiere Bail Bonds has been serving the Roseville area for over 20 years now and have recently acquired a new licensed agent to the team, Gae Geram. Gae has extensive knowledge of the Roseville area and all of Placer County and can assist you with any question you may have. Upon hiring a bail bond company you can look up information about the defendant by their booking number, which will give you their record as filed with the police department. If you would like to receive further information, we will be more than happy to obtain all of the remaining details regarding the defendant’s arrest. Our company is stationed in Roseville, however we cover all cities in the surrounding area. These include Auburn, El Dorado, and down to Sacramento. If you would like to know more about the areas we serve there is a map of Roseville located here. 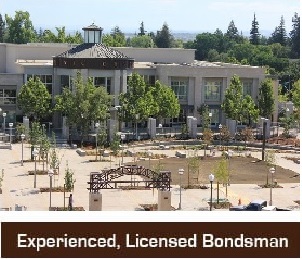 Premiere successfully handles a majority of the Roseville bail bonds and we enjoy doing so, if our clients are happy so are we. Please do not hesitate to call us at any time.